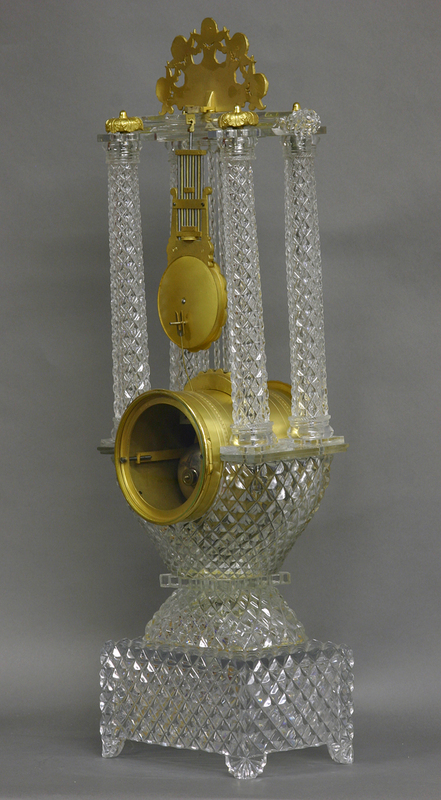 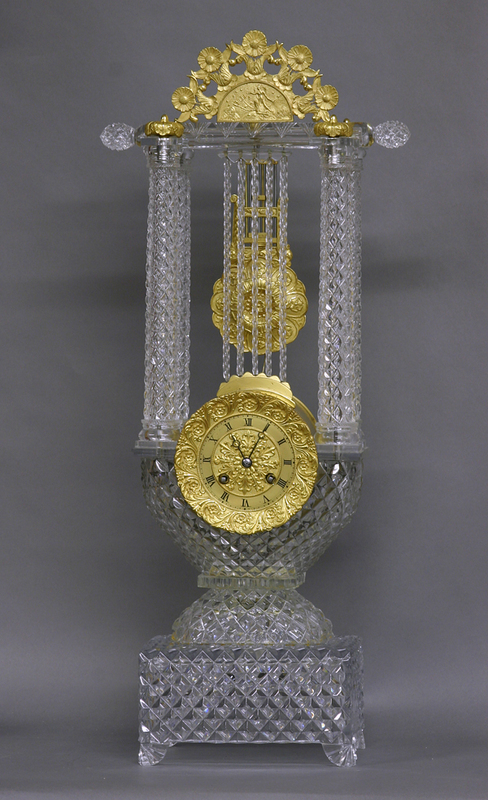 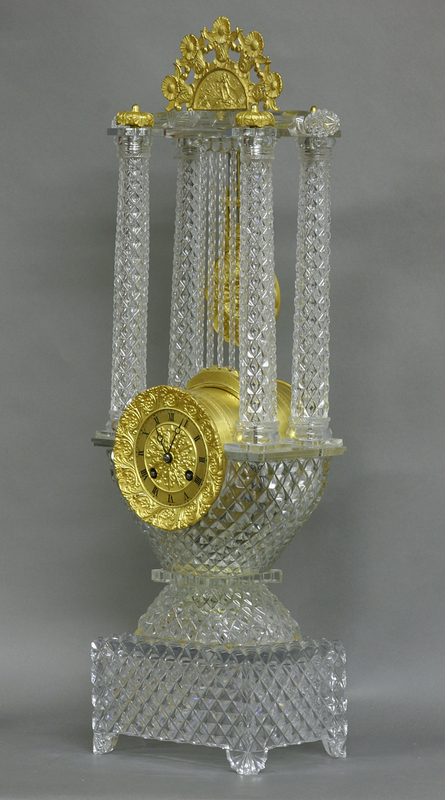 The decorative shaped glass case has four columns above, decorative twisted glass rods in the center and cast gilt-bronze finials and center-piece. 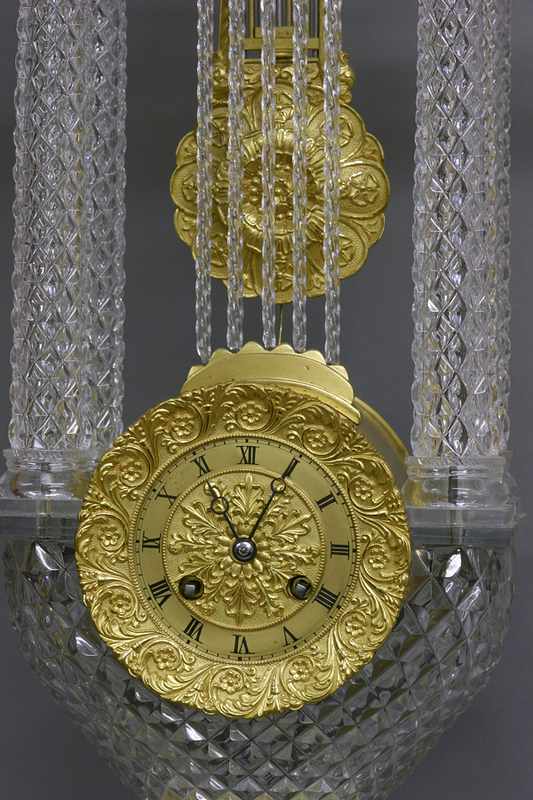 The elaborate cast gilt-bronze dial has floral decorations to the center and bezel, a smooth chapter with Roman numerals for the hours and steel-cut Breguet-style hands. 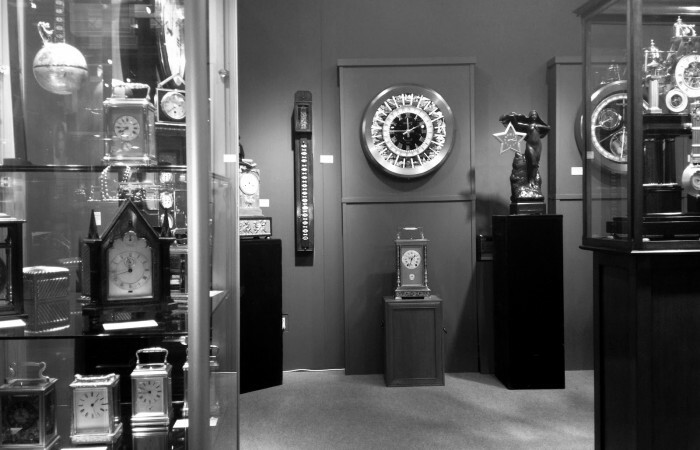 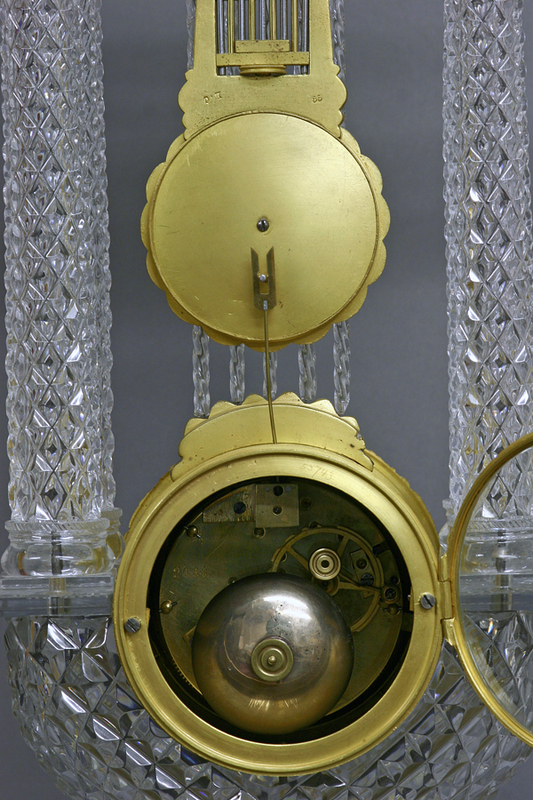 The eight-day time and strike movement has an anchor escapement with the grid-iron pendulum suspended by spring from above and strikes on a bell.